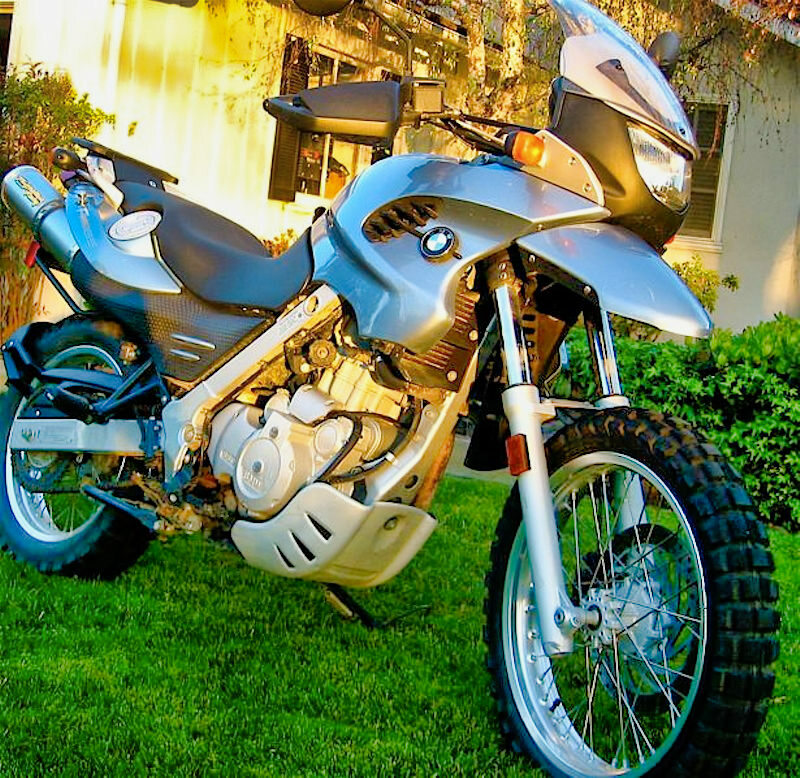 Though I’d owned a 2001 BMW F650GS, it was the standard GS version and not the Dakar. One thing that was critical in my decision to sell my trusty ole 2001 BMW steed and switch to a more modern 2005 was the size of the front wheel. 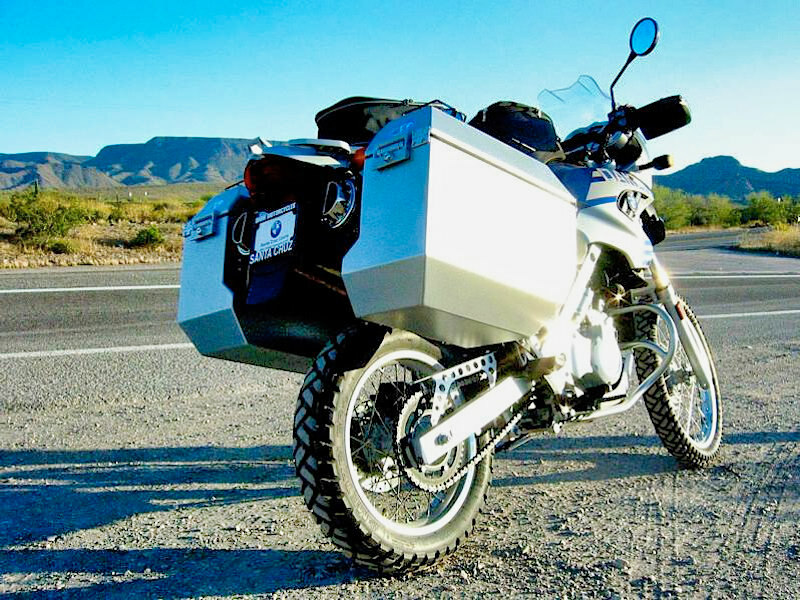 The Dakar version of this bike sports a 21″ front wheel while the standard F650 uses a 19″. You’d think that the 3 inches wouldn’t make a big difference. But it does. In rough terrain where you are announding rough roads, often with large rocks or badly maintained paved roads littered with potholes, those extra three inches soften the blow and could make the difference between a rough bump and a bent rim. So in March 2005 I sold my F650 and worked with the great team at BMW of Santa Cruz County and bought the 2005 Dakar. The 2005 was the first year in BMW’s fuel-injected F-series included twin sparkplugs. You see the 650cc powerplant is a single cylinder engine build by Rotax and modified by BMW for this bike. The extra spark plug helps smooth the ride while making sure that there’s no unspent fuel in the cylinder chamber. I went through a painstaking process to determine the smartest, lightest and cost-effective accessories to outfit my BMW. 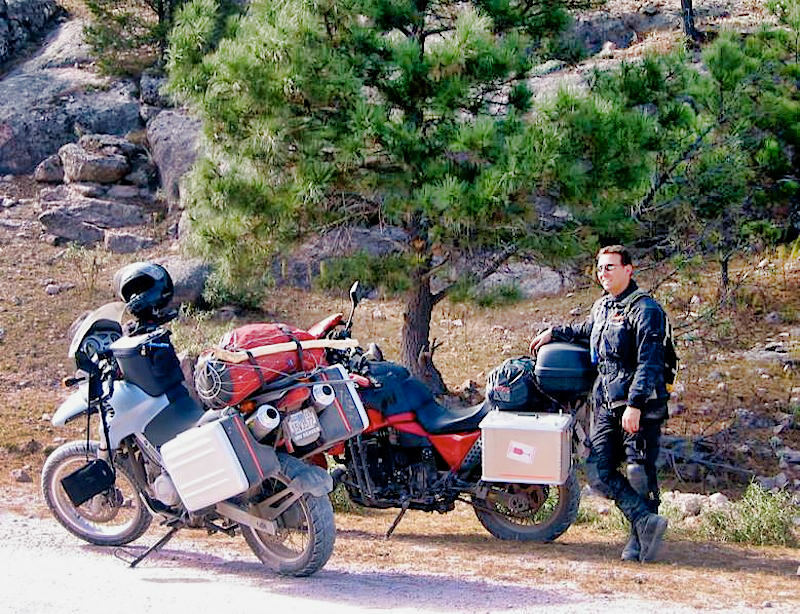 This list is in no particular order, but in my opinion represents the best selection of accessories that offer protection, comfort and security for an around the world motorcycle journey. BMW Front Fender Extender (Plastic) I learned of this in Cape Town and wish I had it fitted for the first 1.5 years of my journey. It’s an accessory for the old F650 pre-2000 and is inexpensive and avoids getting mud, dust and water splashed in your face. 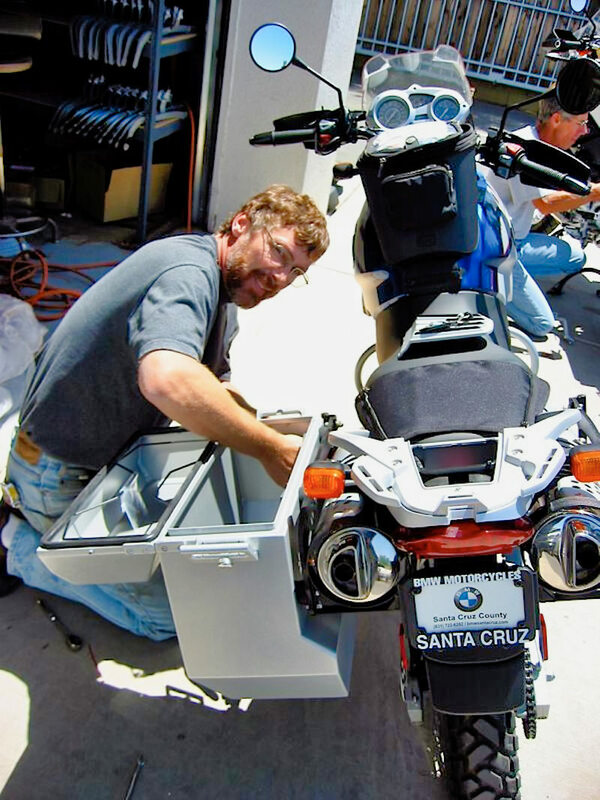 Al Jesse installs his legendary aluminum panniers, the Jesse Odyssey Bags, on my then new F650GS Dakar – May 2005. My original 2001 F650GS – March 2005. The old bike in Mexico where in 2003 I took a test ride prior to finalizing my plans to ride around the world. I spent more than two years resarching and planning this trip.